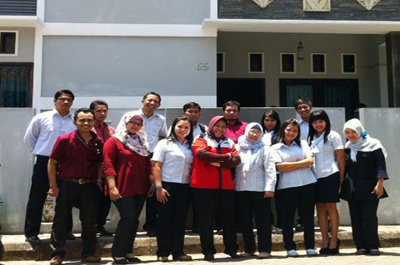 As a leading pharmaceutical, medical device and consumer health care distribution company, Anugrah Argon Medica (AAM) is committed expanding distribution coverage and penetration especially to secondary cities in Indonesia. Therefore, in order to strengthen and to leverage its Competitive Advantage in Market Exploration, AAM has improved its services for Customers and Principals by expanding our distribution network through the refinement of infrastructure. Extensive growth in Bukittinggi and Siantar (Sumatera), also Kudus (Central Java) and Palangka (Central Borneo) have increased AAM sales performance significantly. In order to meet customer’s need and to widen our distribution coverage, recently Anugrah Argon Medica has opened several Representative Office (RO) at Bukittinggi which is under command of Branch office Padang, RO Siantar which is under command of Branch Medan and RO Kudus which is under command of Branch office Semarang, RO Palangka is led by Branch office Banjarmasin. With new representative offices team, AAM will be able to penetrate the area and grow business aggressively in the future. Furthermore, service level to the customers in those areas will increase as well.